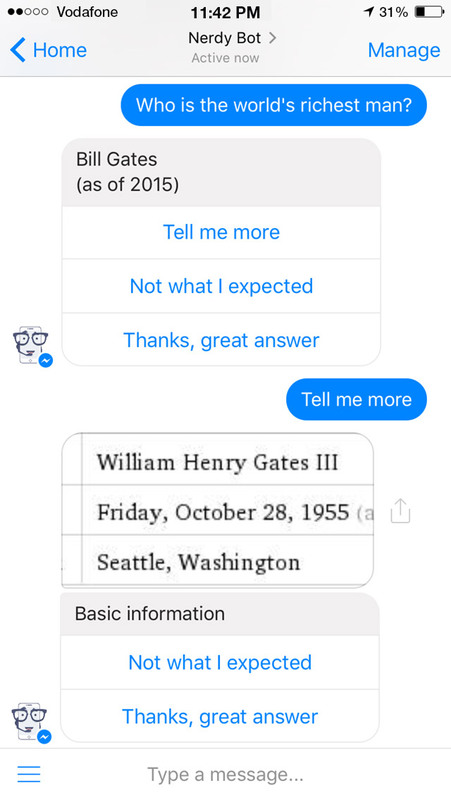 Your AI Nerd who instantly answers to your homework related questions. Simply say "Hi" to get started. No need to install a new app. 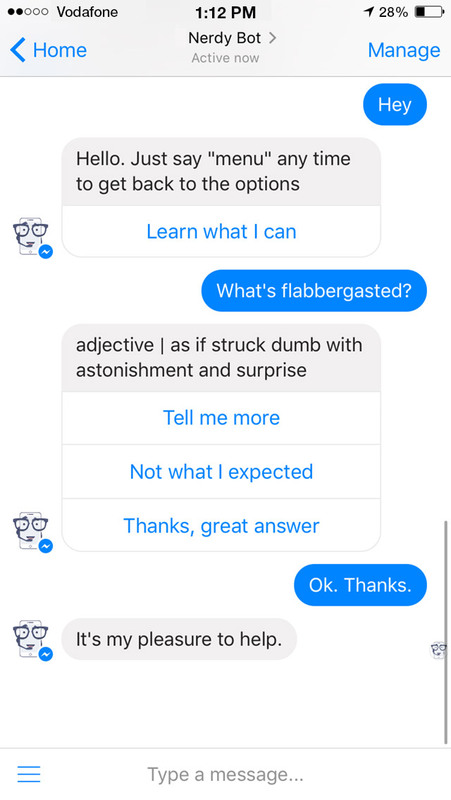 Nerdy Bot is always at your fingertips. 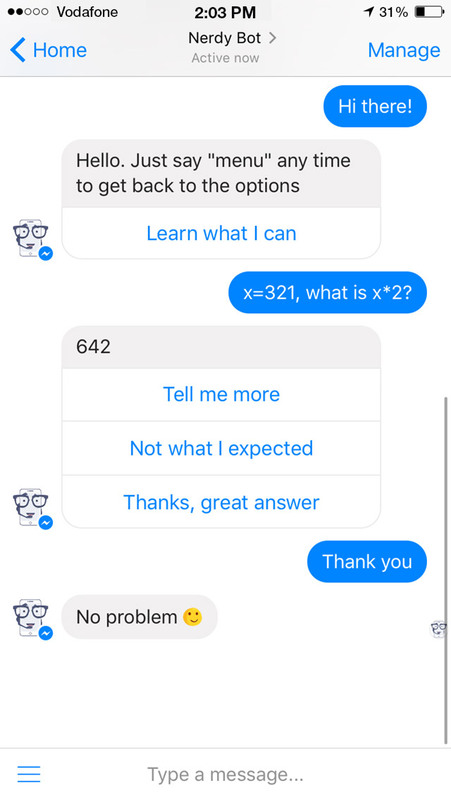 What can Nerdy Bot help you with? 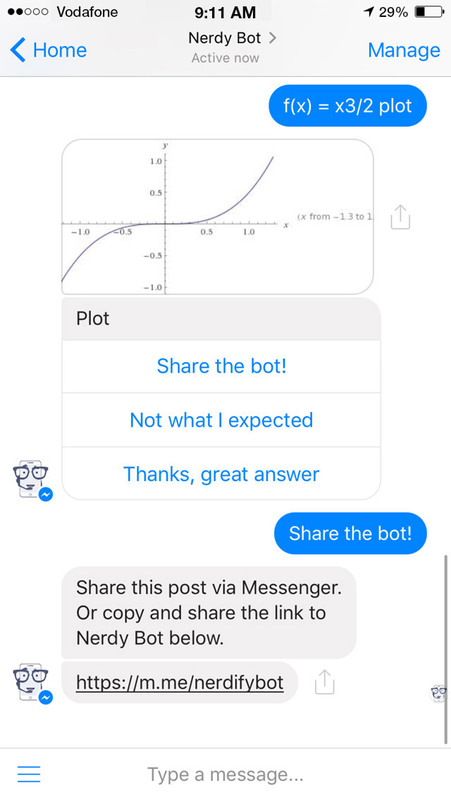 Chat to Nerdy Bot now to find out what else he can do! What's the current time in London? What's the Treaty of Versailles? What's the speed of light? Made with in San Francisco and London.